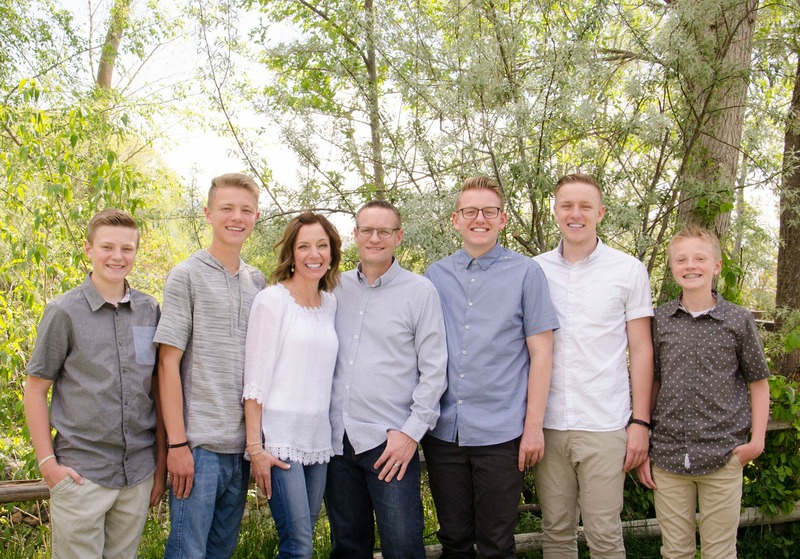 I’ve never met a kid who was sad to get his braces off . . .until yesterday that is. My Parker got his braces off and he was actually kind of sad. He said it feels weird without them and now he has no where to rest his upper lip. I told him he was weird and reminded him not to be sad because before he knows it, they will be back on for phase 2 after all his baby teeth are gone. Strange kid, that one. I’ve been busy packing and trying to get things ready for the beach, but I had to get a quick treat made for the ladies I visit teach. 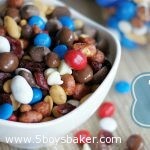 With it being a patriotic month and all I figured my yummy chocolate-loaded trail mix, using these fun red, white & blue M&M’s would be perfect. I’ve mentioned before how much I love trail mix and this is one of my favorite versions. My visiting teacher actually brought some similar to me awhile back and I fell in love with it so I made my own. This is such a great treat to give to neighbors or teachers for any holiday because you can buy the holiday colored M&M’s. Toss some in a cellophane bag tied with ribbon and you’ve got a great gift that they will love. Put all ingredients in a large bowl and gently mix together . . . pretty tough huh? This trail mix is so versatile. The amounts I listed are roughly what I use. But feel free to add any amounts you want depending on how much you want to make. Adjust it to your liking . . . if you want more chocolate, add more chocolate chips, if you want more salt, add more peanuts, if you're not a fan of craisins, leave them out. . . are you catching my drift. Do whatever you want. This is just the way I like to make it.